Nespresso’s Original Line vs Vertuoline – What’s the Difference? Recently stumbled across the amazingness of Nespresso? An at-home machine that can make coffee-house-style espresso while you’re still in your pajamas. Or let you brew true espresso for your other at-home barista friends. Doing the work yourself can get overwhelming. So we’ve simplified it for you here by comparing taste, costs, variety, and the environmental impact of both lines. Both the Original Line and the Vertuoline use quality coffees, so either one will be a step up from something like a Keurig. With 19 bars of pressure, the Original Line machines produce drinks that most resemble traditional espresso. On the other hand, the Vertuoline’s centrifusion system gives it the ability to make both espresso and coffee. So while it’s a little different method, it allows for a lot of versatility. We think the most dramatic differences in taste come from the crema and the temperatures. One of the greatest contributions of Nespresso machines (compared to other single serve machines like Keurig) is their ability to brew true espresso. And with that rich, bittersweet taste, you also get a smooth crema on top - a mark of authentic espresso. The Original Line crema most closely resembles that of the cremas found in a coffee shop - dense and creamy. But the Vertuoline crema is more like foam than crema - Nespresso’s word for it is generous. It’s not quite as thick and not quite as good. So for the most genuine espresso crema experience, Original Line beats the Vertuo. Another contributing factor to taste is temperature. High heat extracts flavor from the coffee, and the Original Line typically uses higher temperatures. While the Vertuoline’s barcode system sounds cool, it usually results in less high temperatures, meaning your coffee often tastes milder. For that reason, we think the Original Line’s temperature levels extract just the right amount of flavor. And it gives you a hotter cup overall. Want to know one great thing about both the Vertuoline and Original Line? They’re both cheaper than buying espresso from a coffee shop. How much cheaper? Check out the box below to see a price comparison between the two lines. The numbers above paint a clear picture: the Original Line cost per cup is cheaper than the Vertuoline. Of course, you could find similarly priced capsules in each line, but overall, the Original Line leaves more money in your pocket at the end of the day. Another money-saving bonus of the Original Line is the option to purchase third-party capsules at a lower price. We’ve found at least six other companies who make compatible capsules for Original machines. And they cost between $0.35-$0.50 individually. That means you’re spending at least 50% less on capsules annually with third-party options. The Vertuoline does not have this perk. Because of the complex barcode system, third-party sellers cannot replicate the Vertuoline capsules. Other than the ability to save money by purchasing off-brand capsules for your Original Line machine, both Nespresso lines have about the same capsule variety. You’ll find single-origin coffee, intensely bold coffee, more mild coffee, decaffeinated, and flavored options in both lines. So with either one, you’ll probably be able to find a favorite coffee. You have three brew options with the Original Line: ristretto (0.85oz), espresso (1.35oz), and lungo (3.7oz). The Vertuoline offers five brew options: espresso (1.35oz), double espresso (2.7oz), gran lungo (5oz), coffee (7.77oz), and alto XL (14oz). 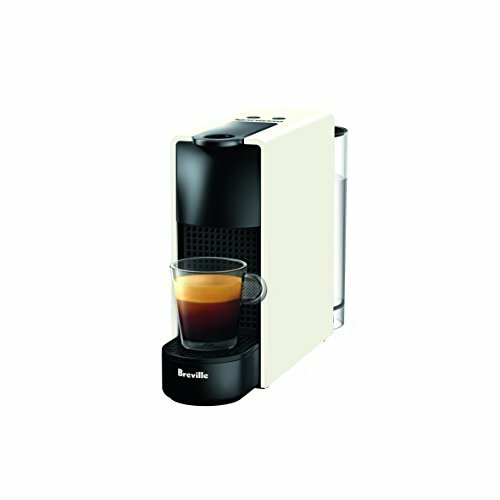 The Vertuoline’s capability to brew espresso-sized drinks and coffee-sized drinks make it much more versatile for home use. If you like to switch it up, so does a Vertuoline machine. And while you can easily make a comparable Americano from your espresso, the Original Line is limited to making espresso drinks only. 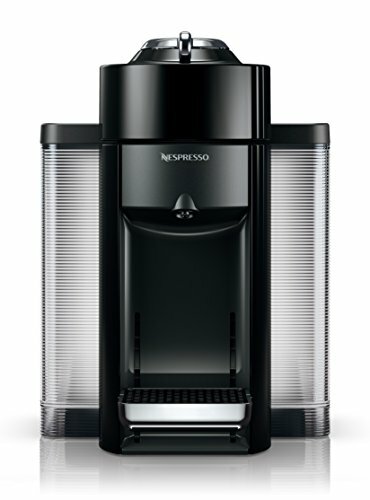 We’ve touched on the environmental impact of Nespresso machines in general in our comparison of Keurig and Nespresso. To summarize, Nespresso does have a recycling program for their capsules as well as a partnership with AAA Sustainable Quality™ Program for farming. But when it comes to the individual capsule lines, Nespresso only offers conventional, rainforest, and kosher coffees. But as we mentioned before, since the Original Line allows for third-party capsules, you can also find organic, fair trade, UTZ, and NON-GMO coffee capsules that work with Original Line machines. So overall, the Original Line machines seem to be more environmentally friendly because of compatibility with other capsule companies. Original Line machines cost anywhere from $115 for a small, basic version to nearly $600 for a “pull out all the stops” version. Many of them come with milk frothers. Vertuoline machines start around $140 and range up to about $250 for machines made with partner companies like De’Longhi or Breville. We attribute some of the cost variations between the Original Line and Vertuoline to the fact that the Original Line was created first and has more unique options. But you should be able to find a machine in either line that meets your price point. Because of its durability, smaller size, water capacity, and overall design, we give the Essenza Espresso Machine by Breville our top pick. You can also buy one with a milk frother included. The Vertuo Evoluo Coffee and Espresso machine wins our vote for the best of the Vertuoline. It heats up quickly and can hold a lot of water, so you won’t spend much time on it while brewing. The streamlined design also makes it great for home or office. If you like technology, you might be a fan of the Vertuoline’s barcode and centrifusion system. Or, if a big, tall cup of coffee makes your world go round, then the Vertuoline beats the Original easily. But we think the Vertuoline comes with a serious drawback in the price department. And although it tastes good, it’s not as good as it could be. If you’re an espresso fanatic, a lover of the original and authentic, then stick with the Original Line. You can easily make larger coffees and milk-based drinks, and the espresso itself will be the best you can make at home.